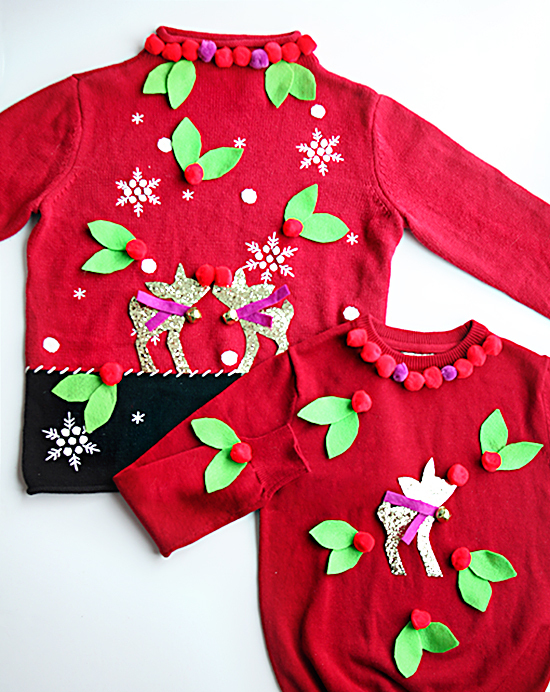 let’s make mother-daughter ugly sweaters this year! Ugly Christmas Sweaters have turned into a big deal! They’ve made it to Jimmy Fallon, and local Christmas parties, and I’ve seen them for sale all over the place. 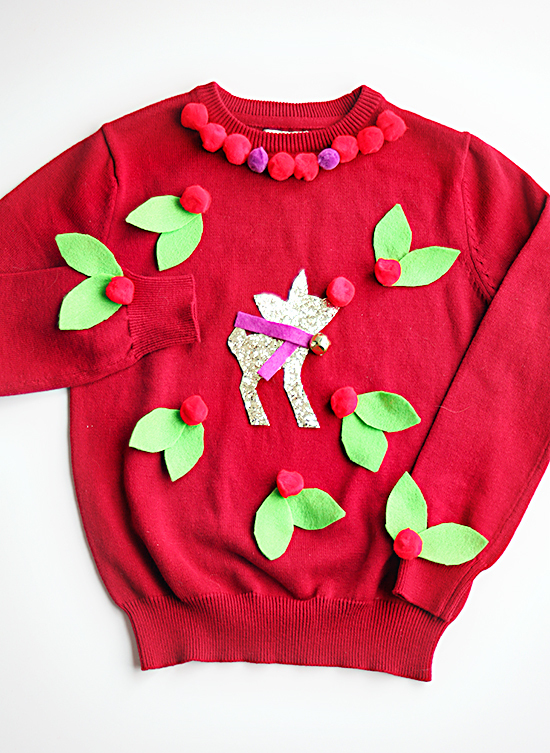 But I want to let you in on a little secret: you can make your own ugly sweater and have a lot more fun. 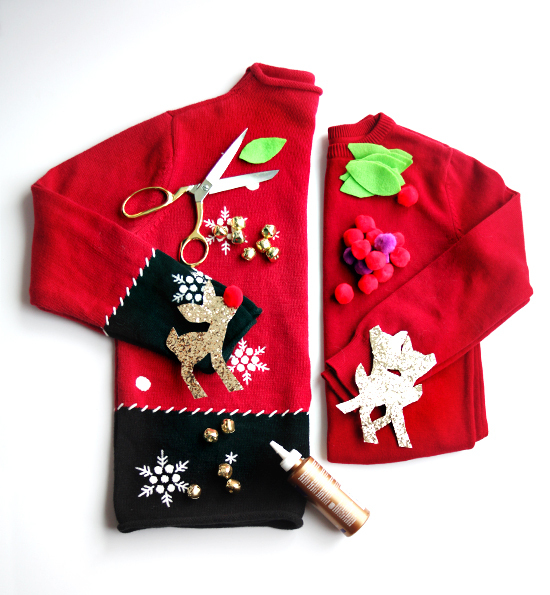 Every year those tacky holiday sweaters fly off the shelves, but don’t worry – Savers has everything you need to create your very own DIY tacky holiday sweater. Savers has the largest selection of the most eclectic, and oftentimes silly holiday sweaters, ties, vests and more— perfect for your tacky holiday sweater parties. Best of all, you don’t have to spend much: many of their tackiest holiday items are under $10. 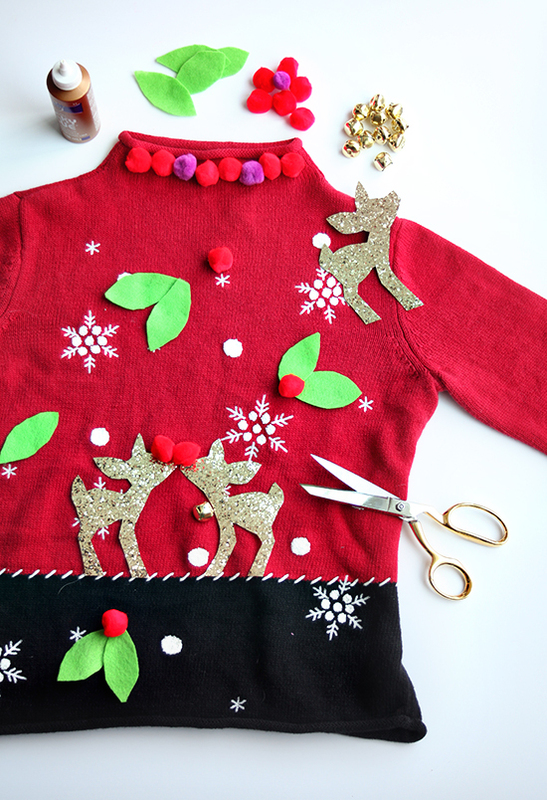 So once you’ve stopped by Savers and picked out the perfect starter sweater, it’s time to add even more ticky tacky fun DIY elements. Grab the glue and let’s get making! Glittery accessories like tinsel garlands, sequins, or the glitter fabric we found at the craft the store. 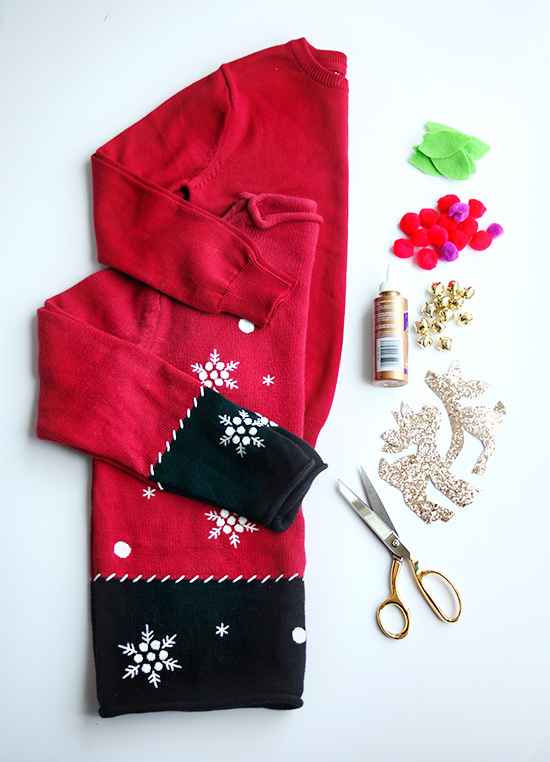 Any other crafty additions – like jingle bells! Decide on a theme, we began with Rudolph and went from there. 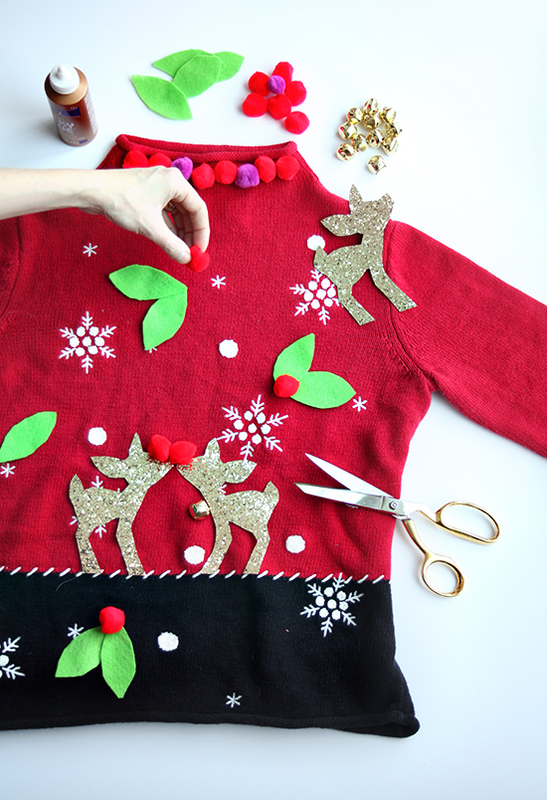 Cut out all the felt and other pieces you need, begin placing them on the sweater until you like your design. Remember – you can add things to the shoulders, cuffs, and collars, not just the front! Glue everything in place, or sew them if you feel the need to make things more permanent. Now enjoy your holly jolly holidays! A big thank you to Savers for their support of this project. As always, all opinions are my own.